Besides sitting atop a gold mine, the town of Waihi rests on some political and economic fault lines that stretch from the present right back to the town’s European origins. Perhaps the most pivotal event in that history, aside from the discovery of gold itself, was the miners strike which began 100 years ago in May and ended six-and-a-half months later, after the death on 12 November 1912 of one of the strikers, Fred Evans. It’s a history that has been much chronicled, studied and disputed. The short version of the strike, and the one given on the Ministry for Culture and Heritage’s NZ History Online, portrays it as a clash between members of a militant Federation of Labour (the so-called Red Feds) and backers of a company-inspired breakaway union for engine-drivers, with some state-sponsored violence thrown in for good measure. But of course, it’s not that simple. 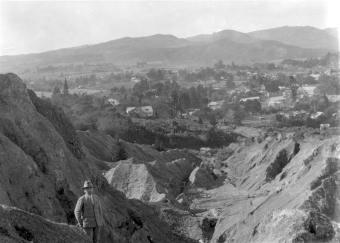 Historians like Jeremy Mouat (in his paper the Ultimate Crisis of the Waihi Gold Mining Company) contend that the duelling unions account understates the role of the company, which was happy to let the Martha mine lie idle “so that it [the company] could come to terms with the mine’s deteriorating position as an ore-producer”. And what about the wider political environment at the time, in particular the circumstance that gave rise to the establishment of the Red Feds in the first place? That’s a part of the story addressed by another historian, Erik Olssen, in his book of the same name, The Red Feds. The most recent telling of the strike story was written by Mary Carmine, a Waihi local, titled Perspectives of a Strike: Waihi 1912. Carmine, a longtime councillor in Waihi, opens her 112-page book by explaining that she wrote it “for the people of Waihi so that they can know their own history, not be ashamed of it and can understand the actions of their ancestors”. Carmine’s take definitely has its supporters (it was recommended to me by a spokesman from the current mining company in town, Newmont Waihi Gold, and a Hauraki District Council official) as well as its critics. Among the latter is Joce Jesson, one of the organisers of the Labour History Project’s centenary seminar, scheduled for 10-11 November in Waihi. In a review due to appear in the LHP’s August Newsletter, Jesson applauds Carmine’s bravery in tackling the issue, but sees her book as “the revision of a received truth”. Challenging the “received truth” is one of the goals of the LHP’s November seminar. As well as a series of papers by New Zealand and Australian historians, the LHP programme (see a draft schedule below) will be supported by a series of cultural events, including a “Waihi oratorio” specially written and directed by South Island playwright Paul Maunder; the launch of “Gold Strike,” an exhibition by Wellington artist Bob Kerr; and a commemorative ceremony for Fred Evans. Mark Derby is the chair of the LHP, a non-profit society that works to preserve and promote the history of working life in New Zealand. Derby and the other organisers have made several trips to Waihi in the past year and he says they’re in no doubt that the community feels ambivalent about the impending arrival in their town of academics, political activists and others determined to rake up the ugly and uncertain events of a century ago. He said while the LHP has received support from community leaders, “we’re well aware that some locals would rather we stayed away, and will be happy when this awkward anniversary is safely over and done with”. Back then, the Martha mine one of the world’s greatest, helping to swell the town’s population in 1901 to around 4,000. (It now stands at 4,500.) The year of the strike, Martha produced more than £330,000 worth of gold, down from a peak of £960,000 three years earlier. According to Mouat, a thousand men were working the mine – well over twice the 400-odd workers that today operate not just Martha, but Waihi’s other operations, Trio and Favona. The report went on to quote a comment from one of those researchers interviewed for their study. “There is an emptiness for Maori here in Waihi,” the unidentified resident said. 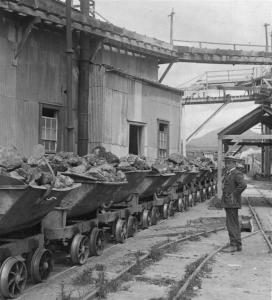 In the first decade of the 20th century, royal commissions in both Australia and New Zealand sought to deal with growing public and political concerns about their mining industries, especially occupational health and safety issues. The report of the 1911 New Zealand Royal Commission on Mines was the outcome of one of those inquiries, and is an under-utilised source for understanding mining at Waihi in the period immediately prior to the 1912 strike. This presentation is concerned with its narratives from Waihi miners and their union representatives, and its data on fatalities, injuries, and industrial illness. It also focuses on the system of workers’ compensation in the Waihi mining industry around that time, and its significance for industrial relations. Hazel Armstrong is a Wellington lawyer specializing in employment law and occupational health and safety. She is the author of “Blood on the Coal: The Origins and Future of New Zealand’s Accident Compensation Scheme” (Labour History Project, Wellington, 2008). Tom Ryan has been a miner and union activist in both Australia and New Zealand, and now teaches anthropology at Waikato University. He has family links to Waihi, as reflected in “The Miners Thumbs: Re-Membering the Past in the Waihi Museum” (NZ Journal of Literature, 2:1, 71-97, 2005). In recent years. the Waihi museum acquired a large and unusual cache of primary documents – letters, telegrams, reports and publications – dealing with the Waihi strike. They formed part of the personal collection of an Auckland unionist closely involved with the strike from the outset and include many documents not previously cited in any published work. This paper examines the historical significance of this collection. In 2005 Newmont Waihi Gold initiated and funded an oral history project to record the memories of elderly former miners and their families. The interviews have uncovered divergent stories of the same event but it has become obvious that no one involved; the strikers, the ‘scabs’ or the constabulary, were lily white. This presentation uses material obtained from interviews carried out in conjunction with the Newmont Waihi Gold / Waihi Heritage Vision Oral history Project, with descendants of families living in Waihi during the 1912 Waihi Miners’ Strike. Doreen McLeod is a longterm resident of Waihi and the current manager of Newmont’s interactive visitor centre ‘Waihi’s Gold Story’. This paper is based on my childhood memories of Waihi in the 1940s. My grandfather had worked at the battery during the 1912 strike and my father often mentioned the strike, which evidently had huge and longlasting implications for the local community. During my early years at school, we learned not to associate with kids whose families still wore the scab label. By contrast, we were required to be ‘good mates’ with the children of the men who were on ‘our side.’ I suspect some kids grew up feeling outcasts – everyone knew they were tainted by their parents’ past. The women of Waihi played an active and innovative part in the 1912 strike, often stepping well beyond the accepted bounds of female behaviour for that period. Some, known by the admiring name of the ‘scarlet runners’, acted as covert couriers for the strikers, often at considerable personal risk. This paper examines the place of women in Waihi during the most tumultuous events in the town’s history. Cybele Locke is a lecturer in history at Victoria University. She once played for a social netball team called the Scarlet Runners. Stanley Roche published The Red and the Gold, an Informal Account of the Waihi Strike in 1984. This book breathed new life into the popular understanding of the Waihi Strike by portraying the strike as a personal and not just a political event. From listening to and recording the voices of the people who experienced the Waihi strike as children, Roche developed the view that history is unreal unless it includes details of day-to-day domestic life, including women’s roles. This paper will trace the research that led Roche to challenge the commonly held view of the women of Waihi as strikebreakers. It will also critically examine the role played by modern day mining companies and unions in ensuring the safety of miners and by association that of their “wives, mothers, and sweethearts”. Louise Roche is the daughter of Stanley Roche. With Alfred Hill. In January 1912, 400 Wellington council ‘trammies’ tapped a growing mood of defiance to arbitration and went on strike over a ‘scab’ inspector. The council capitulated after six days and the NZ Truth newspaper celebrated ‘The Tram Men’s Triumph, What Organised Labour Accomplished.’ This paper argues that this strike victory was a ‘false dawn’ of sorts for the nascent union movement, as the government changed and industrial relations descended into acrimony, even bloodshed, during 1912. Redmer Yska is a Wellington journalist and historian. His latest book, “The NZ Truth – the rise and fall of the people’s paper,” was published in 2010. The 1908 Blackball coalminers’ and 1912 Waihi goldminers’ strikes were both important events in the Red Fed era of 1908 to 1913; a period of heightened militant industrial action in New Zealand. The Blackball strike was carried out with almost comic opera good humour. There were no scabs, no industrial violence, and no government intervention. Waihi in contrast, resembled the violent strikes taking place in the USA in the same period, with the local workforce and community torn in two. This paper will compare the two strikes, illustrating how the New Zealand industrial and social situation changed from 1908 to 1913. In particular it will look at how the attitudes and aspirations of unionists, employers and government helped create the most dramatic period of class conflict New Zealand has so far experienced. Peter Clayworth is a Wellington historian. He is writing a biography of miners’ leader Pat Hickey. The Industrial Workers of the World (IWW) was formed in the USA in 1905 with the goal of establishing a socialist society in which workers controlled the means of production. Initially IWW ideas had some influence on the New Zealand Federation of Labour. The Waihi strike, however, bought the differences between the IWW and the NZFL executive to the fore. 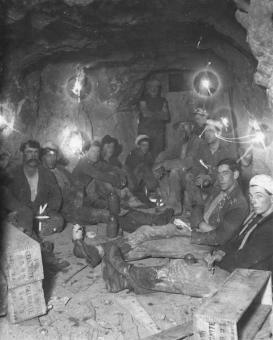 This paper re-examines the role and influence of IWW philosophies on the miners of Waihi, and argues that they had more support and a bigger influence on the union, individuals and strategies than previously thought. Stuart Moriarty-Patten recently completed a thesis at Massey University on the IWW in early 20th-century New Zealand. In 1920, Waihi miners went on strike, and won their demands. In contrast with 1912, both miners and engineers struck, and many strikers left Waihi voluntarily to work temporarily in the Waikato coalfields. This paper questions the common assumption that the repression of workers’ militancy in 1912-13 and during WW1 ushered in a period of moderation and quietude on the industrial front. The 1920 Waihi strike was part of a wider national and international upsurge in class struggle that occurred in New Zealand from 1917 until the early 1920s. Histories of Waihi highlight the passions and significance of the 1912 strike, but typically frame it as a local skirmish in a larger confrontation between the revolutionary ‘Red Feds’ and Massey’s Reform government. Moreover, the involvement of future Labour Cabinet ministers like Bill Parry and Tim Armstrong has encouraged a simplistic view of industrial defeat turning the labour movement towards the ballot box, placing Waihi within a linear political narrative leading to the Labour Party’s 1935 election victory. This focus on leadership and ideology, and conflict rather than continuity, has obscured a more complex history of mining, unionism and local politics in Waihi before and after 1912. By broadening our view of Waihi beyond those few dramatic months a century ago, we can seek to unearth a richer story of labour and life in the gold town. Neill Atkinson is Chief Historian at Manatū Taonga – the Ministry for Culture and Heritage. A former committee member of the Labour History Project, he has written widely on transport, political and labour history. New Zealand and Australia have long had close connections, with workers, activists and ideas moving between the two lands. These close ties continue in many ways today: at organisational levels, with inter-union ties and multi-national enterprises; at the personal, as workers move between the two countries in search of jobs; and at analytical levels, as scholars and activists learn from one another across the Tasman. One of the major manifestations of these linkages lies in a site as far from New Zealand as one can travel without leaving Australasia, in Western Australia’s booming iron ore mines. Here, many New Zealanders have found work, and some have become leading unionists. Ironically one of the major employers of these men and women is Rio Tinto, whose current anti-union strategies were first honed at the bottom of the South Island of New Zealand, at the Tiwai Point smelter in 1991. This paper is an analysis of contemporary struggles for union survival in iron ore mining. In the course of asking what it is that workers and researchers can learn from history and other places, the importance of the exchange between past and present is highlighted in showing how both employers and unions have sought to use their reading of history as well as local political power, the courts and class alliances to advance their interests. Bradon Ellem is chair of the Work and Organisational Studies Discipline in the University of Sydney Business School, a Visiting Professor at the Curtin University Graduate Business School and editor, Journal of Industrial Relations.